The Pennsylvania Senate is betting on $200 million in new gambling revenues to help balance the state budget, even though they aren’t exactly sure what type of new gambling they’ll allow to generate that money. Democratic Gov. 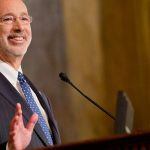 Tom Wolf allowed an underfunded $32 billion budget to pass without his signature earlier this month. Now the state must find a way to cover a $2.2 billion shortfall in that budget, and authorizing new forms of gambling is on the table. On Wednesday, the state Senate narrowly approved a plan that increases taxes on gas drilling, raises utility fees, and borrows heavily from an annual payment Pennsylvania receives from a 1998 tobacco settlement. That leaves about $200 million that they expect to get from expanded gambling in the state. The mystery, however, is if that $200 million will come from legalized online gambling, additional satellite casinos, or some combination, as different proposals have been points of contention between the Senate and the House. 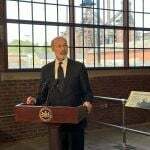 The Senate’s revenue plan has received Wolf’s support, but remains controversial in Pennsylvania’s GOP-controlled legislature. The scheme passed by only two votes, 26-24, and now moves to the House for consideration, where prospective monies from gambling will likely get more attention, and face greater scrutiny. The House previously passed a gambling expansion bill that would’ve placed slot machines in bars and airports, authorized internet casinos and daily fantasy sports, permitted the sale of instant lottery tickets online, and established a framework for sports betting. The Senate, however, rejected the legislation. 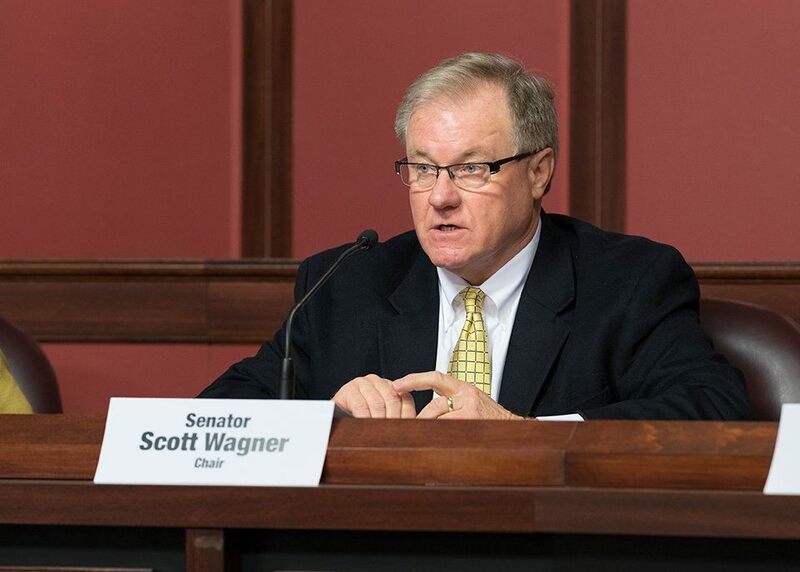 State Sen. Scott Wagner (R-York County), a 2018 gubernatorial candidate from Wolf’s hometown, was among the dissenting votes. But his opposition was more about increased taxes on Pennsylvania residents than on an influx of new gambling revenues. 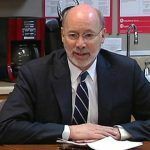 Wolf wants to devote more state resources to public education, and is also looking to more robustly fund programs to combat the state’s ongoing opioid epidemic. That’s all fine and good, but how they will pay for it is what’s really at issue. Pennsylvania levies one of the highest tax rates on gambling in the country, if not the world. For every dollar put into a slot machine, the state gets 54 cents. For each dollar a table game collects, 16 cents goes to state coffers. Combined, the state currently makes about $1.4 billion annually from its 12 land-based casinos. Adding satellite casinos throughout the state is thought to be the Senate’s preferred method to increase gambling tax revenue. While no formal bill has been crafted, reports recently surfaced that as many as 10 regional gaming locations are being considered, with licenses for these smaller casino venues reportedly costing $10 million each. Slot machines in bars and airports is an idea that is supposedly off the table, but online gambling is still in play, and has faced less resistance than in previous years. In 2016, the state passed a budget that called on an additional $100 million from gambling expansion expected to pass in the fall. But that measure never came. A floor vote on the 2017 Senate plan could be held as early as Thursday.